The Field, that cozy, unselfish country gentleman’s magazine, bore the travails of 1918 well. Most of its sports reporting – and it covered association football with a generous spirit – was about dead and wounded friends, and now influenza had come in to interrupt what little real sport was still going on. Its correspondents kept a brave face from Front and hospital. War’s end caught the Field by surprise. It greeted it with relief and unsentimental sorrow. The main non-country sports it followed – association football, rugby union, northern union rugby, cricket, tennis and golf – reacted to peace within days. Cricket’s thinkers celebrated daylight saving time and proposed an earlier start and later finish to the day’s play. Rugby union men had played with northern union men in the war and didn’t want to split off again – could an amnesty be offered to the professionals? In the Field, the future was debated week-by-week through November. The spirit across the sports was open, optimistic: time to make a fresh start. Not so football. The Field‘s report of a meeting of FA luminaries held on 12th November 1918 and published in their last issue of the month (the Field was a weekly back then) is shocking. If this is anything to go by, the FA planned for nothing less than the deliberate, systematic wrecking of the professional game, a coup that would win round ball dominance back for the amateurs, the Universities and the Public School Men. 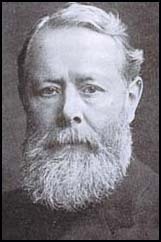 Of the names present, only Arthur Kinnaird, FA President since 1890, could claim any deeper reason for wanting any such thing. He was an old man by 1918, with not long left to live. But in his youth he’d ignored his inherited wealth and all it offered to teach in ragged schools in the East End of typhoid, cholera, tuberculosis, hunger and poverty. He’d founded the London Polytechnic. He backed and funded an endless stream of organisations that fought directly against the worst sides to Victorian urban life. Football was at the heart of his work – he saw it as the tool his father (Lord Shaftesbury’s right-hand man) hadn’t had. Instead of empty speeches and moralising, sport. Instead of urging, pointlessly, continence and abstinence, here, Kinnaird saw, was a fantastic pastime that led automatically on to all of those things, and threw in life purpose, teamwork, leadership and courage to boot. Everywhere he went, he started teams. He’d even turn out for his London Polytechnic from time to time. And bit by bit, as the Victorian era wore on, he lost his wonderful sport to northern brewers, factory owners, gambling syndicates, the financial corruption and partizanship of the growing professional game. He’d had to deal with crowd riots, drug scandals, religious sectarianism and the chicanery of football chairmen. He might have felt, late in life, that the Great War had given one last chance for association football to fulfil its early promise. His colleagues Clegg and Wreford-Brown, on the other hand, were simply roaring snobs who cared nothing for urban people. Clegg had always hated and opposed professionalism – and drinking, and smoking: how he must have enjoyed match days. Wreford-Brown had already founded and seen fall the Amateur Football Association in pre-War days. Steve Bloomer remembered him as England’s amateur playing captain, refusing to acknowledge his team mates on the train and then taking a gold sovereign out from inside his shorts to press upon each professional goalscorer as the game progressed. Here are their bullet-points. Remember, this is 1918: FA Cup Finals have already attracted crowds of 120,000. Old Trafford and Goodison Park and Stamford Bridge loom high over their neighbourhoods. Billy Meredith is a national star in his mid-40s. Leagues are to be regionalised – no more national Football League. This is allegedly to increase “local interest” but it would also have served to undermine the Football League as an alternative power to the FA. County Associations are to take charge of all of the football in their area. Transfers between clubs that are made for tactical playing reasons are to be outlawed. High transfer fees and wages are to end. This (the resumption of professionalism post-War) bears on the subject of work because, to render Mr. Clegg’s proposal easy of fulfilment, it is essential that the man should play for a club with headquarters near his employment. This would assist to arouse the local spirit, so valuable in all sport, and help to spread the popularity of the game. It must be remembered in this connection that the FA rules encourage clubs to retain players. Transfers for the express purpose of winning matches to gain points so as to avoid relegation to the second division of the League are forbidden; in fact, there must be good reason for a man leaving his club. It is not easy for a player to shift about. Each competition has its own rules governing players, and these might be more stringent by forbidding a man to assist more than one club in the same league in one season. Encouragement of long agreements between players and clubs would hinder migration and promote a wish for regular employment throughout the week like other folk. "The professional must be prevented from getting back to the old habit of loafing"
A scheme for district leagues, on the lines of the preliminary competition for the FA Cup would help in the same direction, and, beyond doubt, the increase of local interest would prove beneficial for all concerned. To do away with the huge transfer fees and to induce the players to utilise the bulk of their time properly are the great objects in view; both may be achieved by helping men to continue to work as they have done during the war. The professional must be prevented from getting back to the old habit of loafing. It cannot be necessary to devote the whole week to preparation for an hour and a half on the football field. It’s that use of the words “man” and “men” – you can feel the degrading stress being put upon it, as though a separate, lesser species is being discussed. 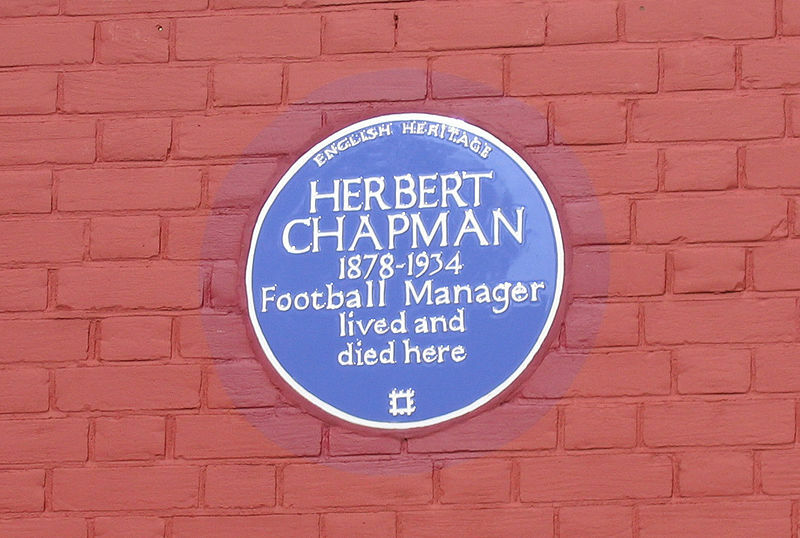 That’s Herbert Chapman they’re talking about there – and Meredith – and Walter Tull (a British officer, mentioned in dispatches and killed at Favreuil only five months earlier).